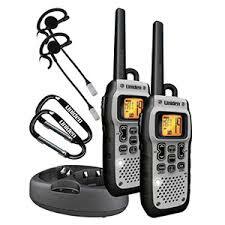 The Uniden GMR5089 is a submersible walkie talkie capable of reaching 50-Mile GMRS/FRS ranges that’s designed for all kinds of outdoor recreational activities. The heavy duty palm sized walkie talkie is equipped with a wide range of features. While the device is slightly heavier than competitive models it has a relatively small size, and it has got very competitive features. The GMR5089 has a water resistance level of 3 feet for up to 30 minutes compliant with the JIS7 requirements. Not only that, but it’s a completely submersible walkie talkie and it actually floats on the waters surface should you accidentally drop it into the water. This makes the walkie talkies not only great for hikes, and camping, but also for water based activities like kayaking, canoeing, fishing or sailing. 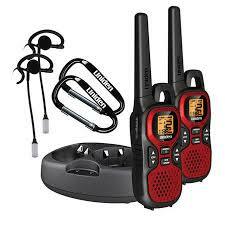 The Uniden GMR5089 comes with all features you would expect from a walkie talkie in its price range. It has NOAA weather channels, and alert features. It has a clear backlit screen and keys that will automatically glow up in low lit circumstances, making the device easy to handle. The walkie talkie comes with a very nifty battery indicator, telling you approximately how long you can use it before the batteries need replacing. Uniden has made a big step forward from their previous model (GMR4040) and the GMR5089 is available in the standard dark grey or in the camo color theme which can be found under the GMR5099 model number. 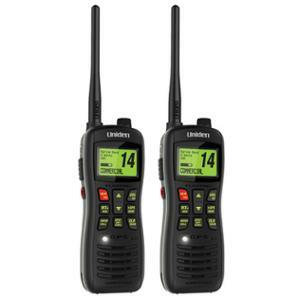 The Uniden GMR5089 offers great reception compared to other radios in this price range. At a maximum of 50 miles range, it certainly has the largest advertised range we have come across, but what amazed us the most about this walkie talkie produces clear voices from other party even when you have reached the connectivity limit range. If you’re in rough terrain like woods or mountainous terrain the walkie talkie also has a boost feature. This feature, while using a little more power than standard transmission, will increase the range of the device and also reduce background noise on your channel to make other people come through even clearer than before. The GMR5089 has access to 22 radio channels including 15 GMRS channels and 7 FRS channels. 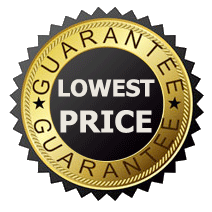 The 15 GMRS channels are designed for longer distance communications of up to 50 miles under ideal circumstances. The 7 FRS channels are suitable for short distance communication. This range depends on the terrain, weather and other disturbances. We found the actual range to be incredibly large compared to other models we have used though. Aside from the large amount of channels, the walkie talkie comes with 285 privacy settings including 142 privacy tones and 143 group codes. These privacy setting will filter out anyone that doesn’t belong to your party, making the channel much clearer for you. 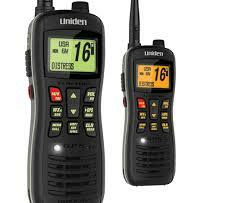 The Uniden GMR5089 has some great functions we don’t see on many other walkie talkie models. 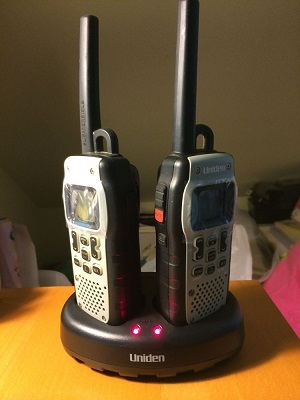 If your party has more higher end walkie talkies, the GMR5089 has a auto channel change feature. This feature can automatically update all radios of party members to a new channel. This can be very useful if you realise while operating that the channel you’re using is not empty, and you wish to change channel. Nothing is more frustrating than trying to get everyone in your party to hop channels at the same time and this feature eliminates this frustration entirely. Another great feature we spotted is the direct call option. The Direct Call feature allows you to call a particular person in your group without ringing others at the same time. To call a person in your group, you just have to choose the predefined 4 letter nickname. Additionally there are a total of 10 different call tones available. The different call tones allow you to find out who is calling you from your party. Lastly, the missed call indicator informs you when you forgot to answer a call so you can get back to them. The Uniden GMR5089 comes with SOS signals and LED emergency strobe light, making you easier to be spotted from far away. This is a great addition for those that go on long hikes or mountain climbs. Radioing someone for help is one thing, but it can be hard to tell people exactly where you are. We hope you will never need these features, but it’s very assuring that you have them. Overall, the Uniden GMR5089 is a great submersible walkie talkie that offers the best range we’ve come across without compromising it’s clear sound reception. The heavy duty walkie talkie is strong and should last you years and years if you take good care of it. We feel this walkie talkie is extremely useful for outdoor adventures, and it’s absolutely packed with features. We strongly recommend anyone trying them, and feature this product in our top 5.